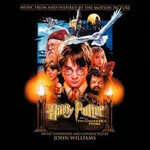 1) Electronic Arts : Harry Potter video game preview + screen saver. 7) Korean-language trailer (version 3). 8) Thai-language trailer (version 3). 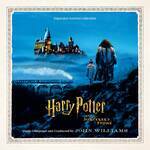 9) Harry Potter poster gallery. 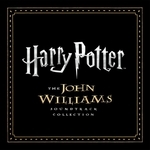 HARRY POTTER : THE JOHN WILLIAMS SOUNDTRACK COLLECTION. 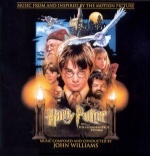 11) CHOCOLATE FROG ESCAPES. 0'52"
01) HAGRID'S CHRISTMAS TREE. 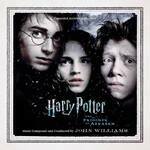 0'59"
14) HOGWARTS FOREVER [vocal version] 0'48"
06) BORGIN AND BURKES. 0'53"
12) INTRODUCING COLIN / ERROL DELIVERS MAIL. 0'55"
22) MOANING MYRTLE APPEARS. 0'51"
24) HARRY IS A PARSELMOUTH. 0'54"
21) FILCH'S WARNING [alternate] 0'22"
22) INTRODUCING COLIN [alternate] 0'55"
23) TRANSFORMATION CLASS [alternate segment] 0'58"
27) CAR DRIVES OFF [alternate segment] 0'26"
29) TELEVISION COMMERCIAL No. 1. 0'38"
30) TELEVISION COMMERCIAL No. 2. 0'30"
27) THE WALK TO BUCKBEAK. 0'46"
22) THE DEMENTORS CIRCLE. 0'46"
24) THE PATRONUS POWER. 0'47"
1 Nomination aux ACADEMY AWARDS (OSCARS) : original score. 1 Nomination aux GRAMMY AWARDS : best score soundtrack album for motion picture, television or other visual media.